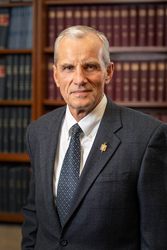 Renowned orthopaedic surgeon, Edward Wojtys, MD will be inducted into the American Orthopaedic Society for Sports Medicine’s (AOSSM) Hall of Fame on Friday, July 6, during the Society’s Annual Meeting in San Diego, CA. AOSSM Hall of Famers are individuals who have made a substantial contribution to the sports medicine field. Renowned orthopaedic surgeon, Edward Wojtys, MD will be inducted into the American Orthopaedic Society for Sports Medicine’s (AOSSM) Hall of Fame on Friday, July 6, during the Society’s Annual Meeting in San Diego, CA. AOSSM Hall of Famers are individuals who have made a substantial contribution to the sports medicine field. It is one of the Society’s highest honors.